Dessert lovers will be delighted to know that many sinful sweets are given their own special day in the month of March. While these food celebration days are new creations and certainly not steeped in tradition like actual holidays, they are fun to acknowledge and worth enjoying with a homemade dessert. It's the perfect excuse to get in the kitchen and try a new recipe or two. The entire month of March is dedicated to peanuts, and it is kicked off in style with a nod toward peanut butter. Luckily, this is one of the best dessert ingredients, with many tasty treat options to bake up. 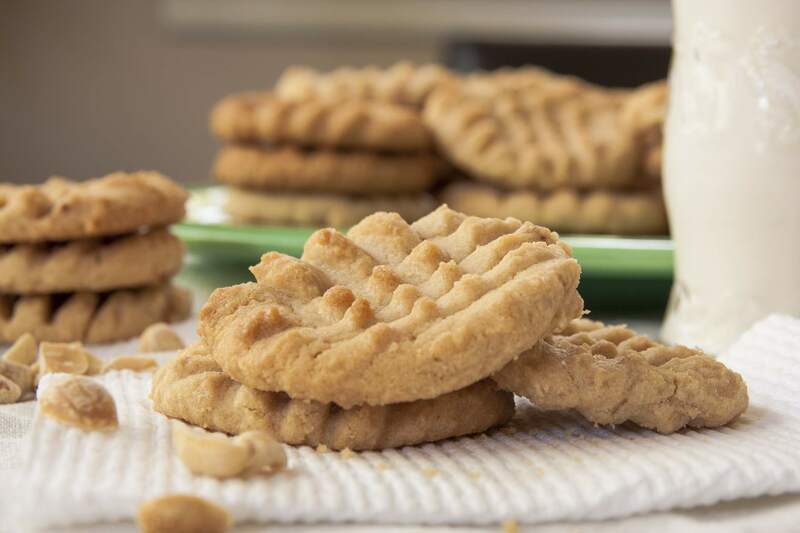 From crunchy peanut butter cookies, a far-too-tempting chocolate peanut butter pie, or even a homemade peanut butter ice cream, there's a little something for every PB lover. Having a day designated to this luscious dessert is a great reason to create one of these irresistible pies where sliced bananas are topped with a sweet custard and fluffy whipped cream. Try a nice and simple recipe for the perfect banana cream pie with whipped topping, or a more traditional version with meringue. Make your own crust or go with a pre-made shell. Either way, it's filled with a fantastic cream of bananas, coconut, and takes less than an hour to make. Pound cakes are aptly named as the ingredients in the original recipes were composed of one-pound each of flour, sugar, butter, and eggs. Keep a pound cake in the freezer and you'll always have dessert. It doesn't matter whether it's served alone or with fruit, ice cream, and/or whipped cream—it is always delicious. Celebrate the day with a lemon pound cake, or for a fun twist on the recipe, a 7-UP pound cake uses the fizzy soda for flavor and tender crumb. March 6: Happy Birthday Oreos! On March 6, 1912, the first Oreo was made. Since then, the Oreo has become the world's best-selling cookie, and for good reason. The chocolate sandwich cookies with cream filling are not only scrumptious on their own but are also a wonderful addition to desserts. While you may be tempted to munch a stack of Oreos, they're also a lot of fun to bake with. Whether it's a simple pie crust, festive chocolate-dipped Oreos, Oreo ice cream pie, or cookies and cream candy bark, there are many ways to enjoy this favorite cookie. Certain cereals play an important role in some classic sweets, such as Rice Krispie treats. But there are other cereal-based goodies, too, like puppy chow, a sweet snack mix made with Chex cereal, chocolate, peanut butter, and powdered sugar. For something truly unique, try a Greek shredded wheat cake, a pastry made with shredded wheat cereal, walnuts, and lots of sugar. These sweet and salty chocolate and peanut candies treats have their own holiday! They make great gifts, too, and would be cute in a spring basket. Calling all self-proclaimed geeks who love to bake! March 14th is Pi Day. It's not the pie we eat, but Pi the calculation (3.14) used to calculate the circumference of a circle. To celebrate this annual event, it only makes sense to bake a pie! Choose from chocolate cream pie, glazed peach pie, key lime pie, old-fashioned apple pie, or sweet potato pie. But it doesn't matter what you decide to bake because any pie will do. Bonus points if you can craft the Pi symbol into the crust! Potato chips are actually the perfect pairing for chocolate, making for a crunchy treat that will satisfy the sweet tooth as well as that salty craving. For this occasion, you can make easy potato chip chocolate bark or potato chip clusters, which includes peanuts and dried cranberries. If you like, start completely from scratch and make your own potato chips. The traditional oatmeal cookie is loved so much that it has its own holiday. They're easy to make, too. You can go with a classic oatmeal walnut cookie or family favorite oatmeal chocolate chip cookie. Or try out a fun no-bake oatmeal cocoa cookie. As spring begins to show its tell-tale signs, sweet, delicious strawberries are just coming into season. It's the perfect time for California Strawberry Day and a fresh strawberry cake. Show off this favorite fruit by making your very own strawberry shortcake with a homemade cream filling. If you're in the mood to mix the berries into a batter, a strawberry cake will do the trick. Pecans are loaded with anti-oxidants and they're amazing in desserts. You'll find these tasty nuts to be a very useful ingredient in your kitchen. Pecan fans can celebrate Pecan Day with a traditional pecan pie or a sweet potato pie with pecan topping. These nuts are also a fantastic accent for baked goods, like in pecan crescent cookies or a tropical pineapple coconut cake. You can also top your favorite chocolate cake with a coconut pecan frosting.